Now available for preorder and delivering in time for BBQ season, the Grillbot's essentially a Roomba for grilltops that automatically moves around scraping the crusty sludge from their rungs using three powerful, motorized wire brushes that conveniently activate at the press of a button -- potentially acquainting you with the type of extremely sedentary lifestyle in which you'd require a Roomba-like device for cleaning yourself. 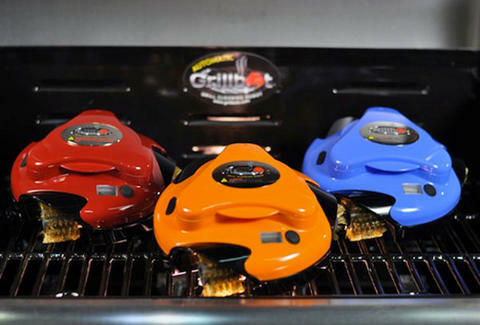 Rechargeable and designed to scrub whether the grill's hot or cold, it's equipped with an LCD timer for setting how long you want it to go to town (a normal-sized grill should require about 5mins). Plus, when the brushes get overrun with gunk, they easily pop off and can be cleaned in the dishwasher.